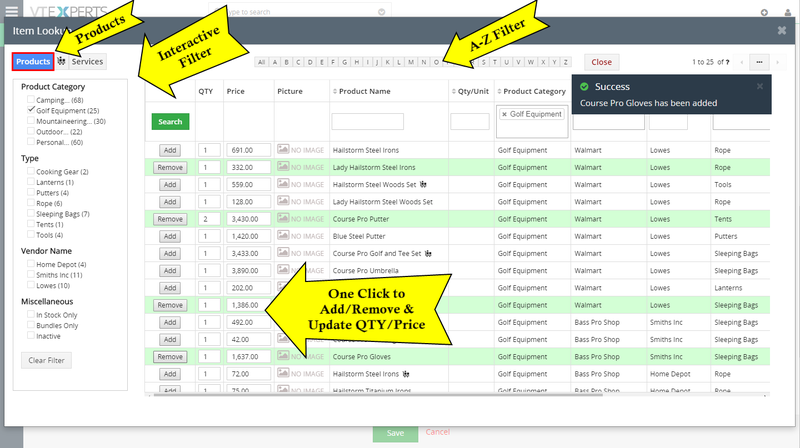 There’s a new Extension for VTiger Order Management, the Easy Item Lookup. It is the Extension for VTiger designed to significantly increase the efficiency when adding products & services to the invoices/quotes/sales & purchase orders. We applied a method that is very similar to any online shop, where you select your category and items reload based on the category selected. 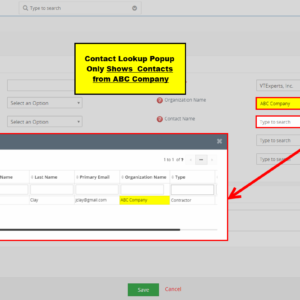 It supports up to 3 “category” fields, meaning, that you can narrow down your search by any picklist field on product/service (category, sub category, manufacturer, type, etc..). 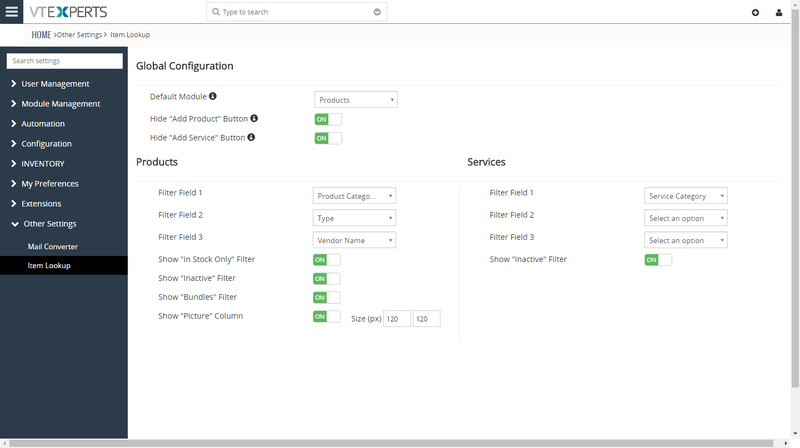 It also supports filter by vendor, which works exactly as the category filter. 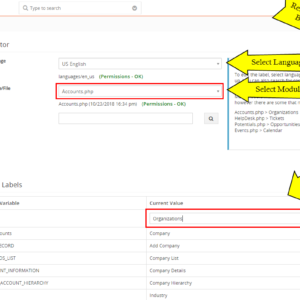 In addition, to the easy lookup, you can also search the product/service by name, part number or any other field on the list (similar to standard vtiger functionality). Special filtering options such as A-Z, In Stock Only, Bundles Only, Inactive are also available. On top of that, you can adjust Quantity and Price (on the popup) before the item gets added or even after (qty/price will update automatically on the record). Moreover, it comes with a very intuitive configuration panel, giving all the control to your hands. 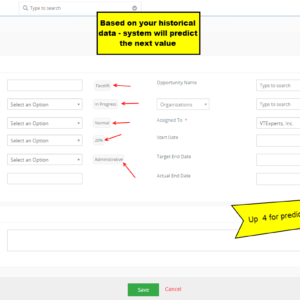 Easy Item Lookup is by far one of the most important extension you should have if you do any work with Quotes, Invoices, Orders or Purchase Orders. You can learn more on how to use it in the Helpdesk guide. The Extension is added to the Extension Pack list for VTiger 7 users already. If you do not have an Extension Pack account, see this page for the introduction and instructions. Feel free to contact us at [email protected], or use the sales/support live chat platform at www.vtexperts.com.